Today’s guest post is by blogger and freelance writer Vera Marie Badertscher. Vera writes on all sorts of fascinating historical topics, and her posts on literature are always my favorite. Given I was an English Lit major at Cal, I’m a sucker for anything literary! This post combines two of my favorite topics: food and literature. 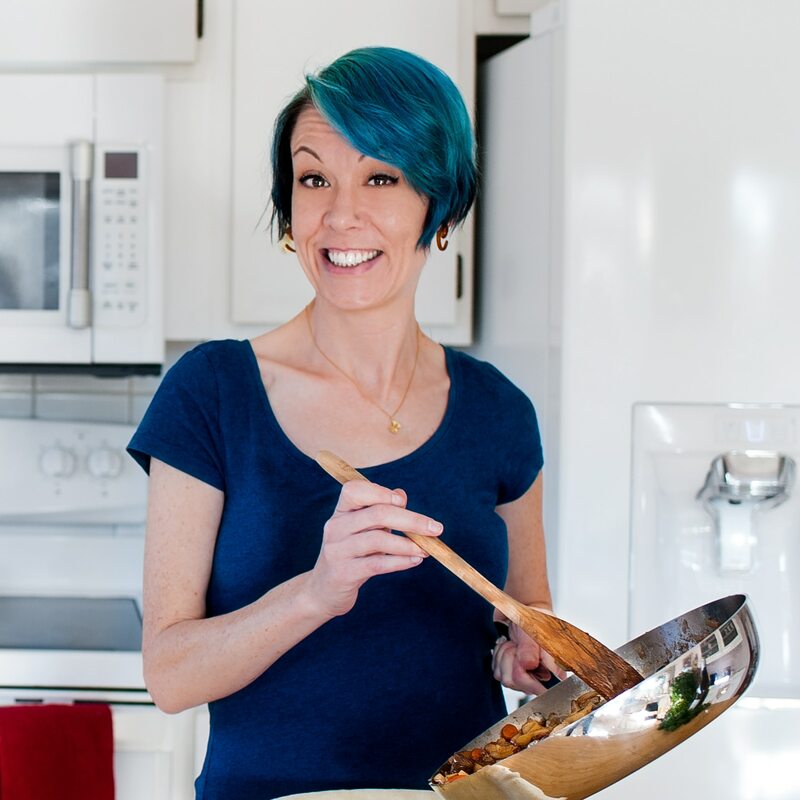 Please welcome Vera as she shares her research on one of Emily Dickinson’s favorite dishes. In a former life, I played Emily Dickinson in the one-woman play The Belle of Amherst, and I delved into The Complete Poems of Emily Dickinson as part of my preparation. I love her poetry, but it is Emily the cook, that really hooked me. I’m not alone. The volunteers at the Emily Dickinson Museum in Massachusetts published a cookbook of Emily’s recipes, which is out of print with limited copies available on line. 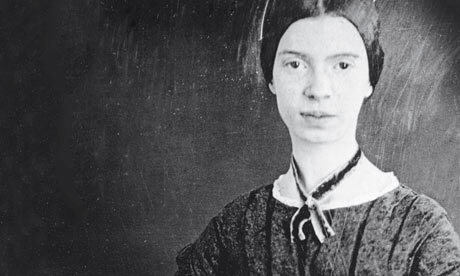 You can order Emily Dickinson, a Portrait of the Poet as Cook, with fewer recipes from the bookstore at the museum web site. The cookbooks came out long after I had taken on her Jamaican Black Cake recipe, however, so I was on my own. The play begins with Emily pacing around the stage reciting a recipe that she is sending to a friend. Since I love to cook, I promptly tried her recipe for Black Cake as part of my “Actor’s Studio” type preparation for the role. It turned out very well, and we served up slices to audience members during intermission. Ever since, I have been making the black cake that she is making at the beginning of The Belle of Amherst. One thing I learned from Emily’s Black Cake recipe — she was not the delicate, feeble flower that we picture. This batter, thick with fruit, is dense and takes muscle to mix. One year when my husband helped me stir, he actually broke a wooden spoon, trying to drag it through the batter. I looked at some old timey cookbooks to figure out how to convert the amounts, but nowadays, of course, there are guides readily available for instructions like “butter the size of an egg”, and conversions from pounds to cups. But you still have to take into consideration things like the size of eggs–probably not as large as the ones you are using today; and the type of flour (perhaps less refined). As is the case with most historic recipes, there is no mention of temperature or cooking time. I was on my own to work it out. Emily says she bakes the cake in a milk pan, and I’ve never had a really definitive answer on what that is, and even if I did, I wouldn’t have one. So I use an array of loaf pans, including some of the mini- light weight aluminum ones that I can wrap in plastic wrap and ribbon for Christmas gifts. When I make the large version (below) I use an angel food cake/tube pan for a really spectacular sized cake. The recipe is as close as I can possibly get to Emily’s. I make only one concession to modern taste and availability of ingredients. Instead of using all citron (which can be a bit bitter), I blend several kinds of candied fruit (eg. lemon, orange and citron). I don’t imagine that Emily had that choice. I make this on Thanksgiving weekend, wrap it in cheesecloth dipped in brandy and serve it on Christmas Eve. 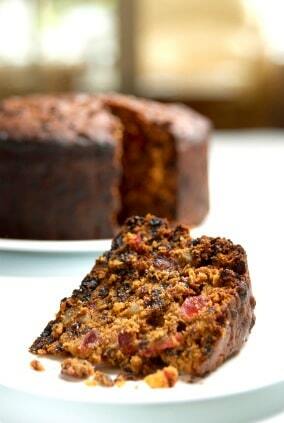 (Cut the recipe in half or one-quarter if you must, but DO NOT call it a fruitcake). And you probably should not show the recipe to your cardiologist–Two pounds of butter and 19 eggs?????? Note: I have looked at other recipes on the Internet and immodestly believe this version is best. Slow baking and thorough basting are key. Preheat oven to 250°F (121°C). Butter a large angel food pan. Sift together flour, soda, spices, salt. In a separate bowl, beat butter and sugar, adding eggs a few at a time and beating after each addition. Add brandy, mix well, and add flour mixture, again mixing well. Add molasses and sprinkle in fruit slowly as you stir. Pour into greased pan. Bake for 3 hours, then remove cake from pan to cool. Wrap the cake in cheesecloth dipped in brandy. Store in an air-tight container for several weeks, dribbling on more brandy from time to time. Again, slow baking and thorough basting are key.